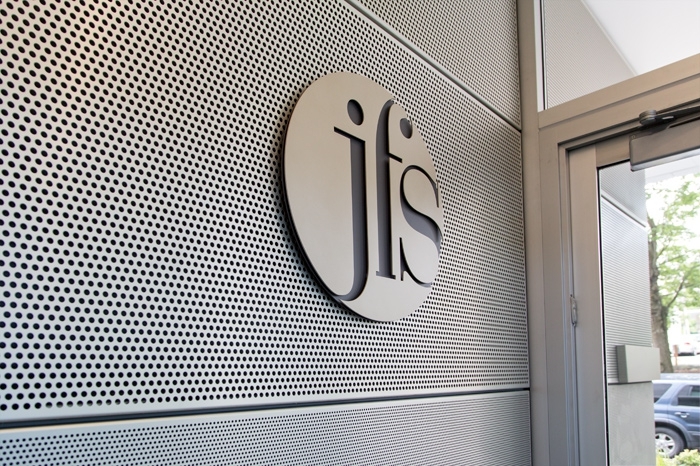 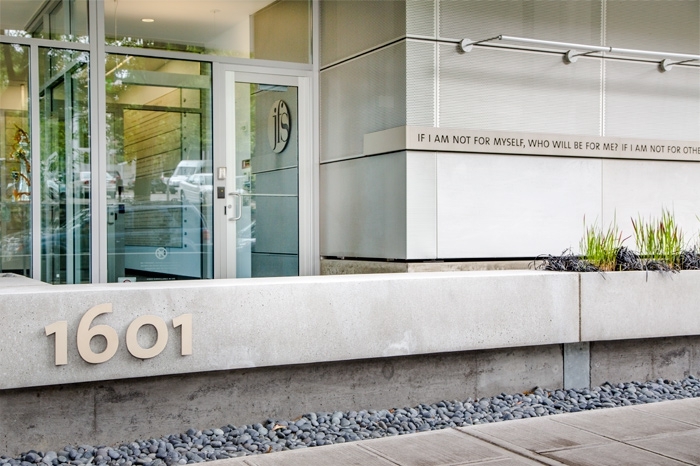 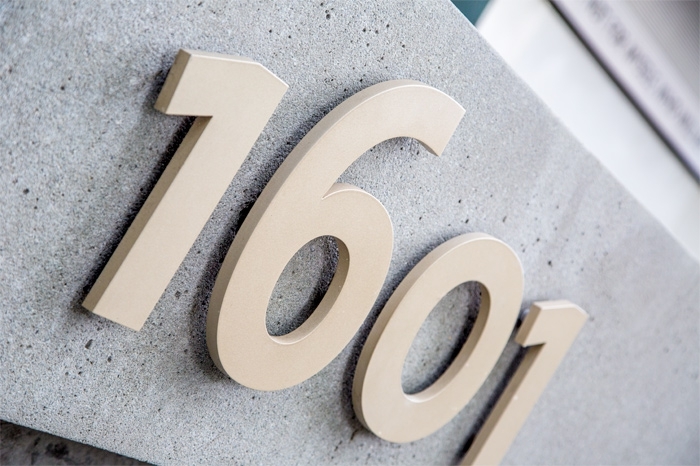 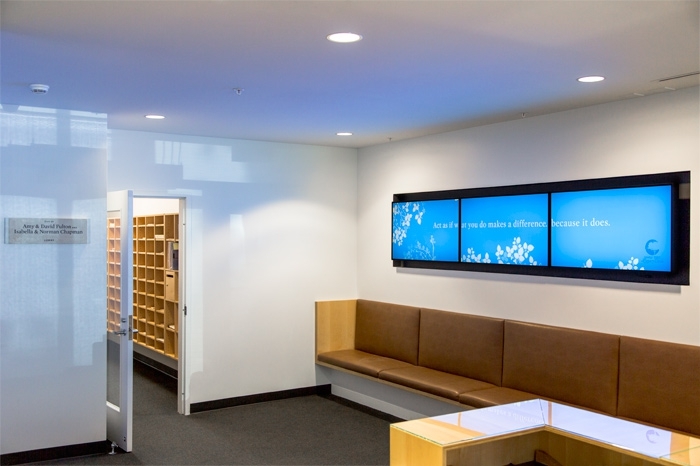 For the first time in 119 years, Jewish Family Service has built a facility designed specifically to meet the needs of clients, volunteers, staff and the greater community at a location in the heart of Capitol Hill, which will better serve the social, emotional and physical needs of JFS clients. 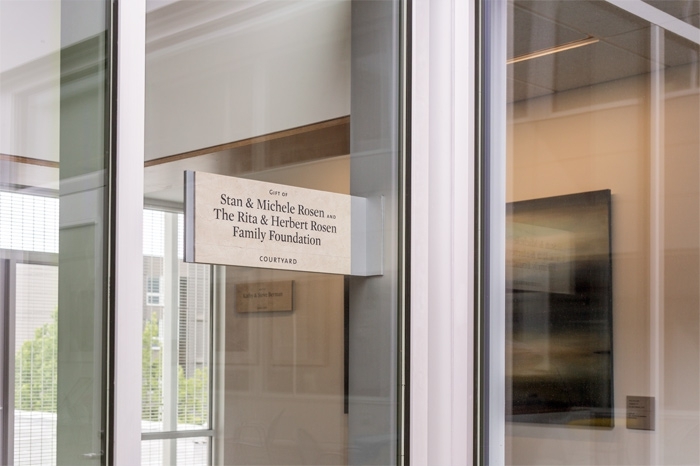 Over 200 donors made this building possible with gifts of $10,000 or more to the JFS Family Matters Campaign. 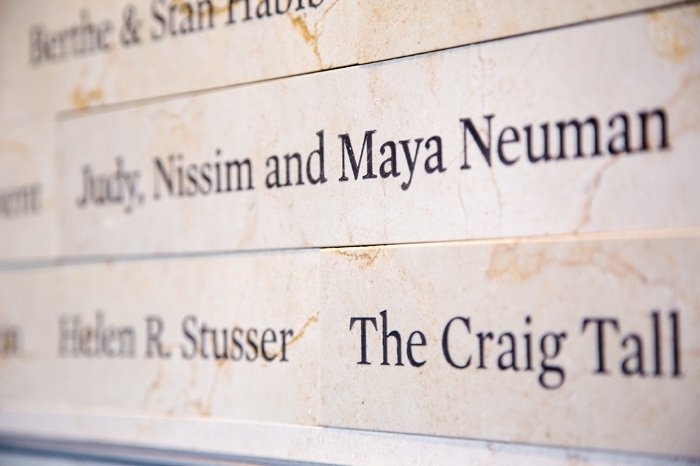 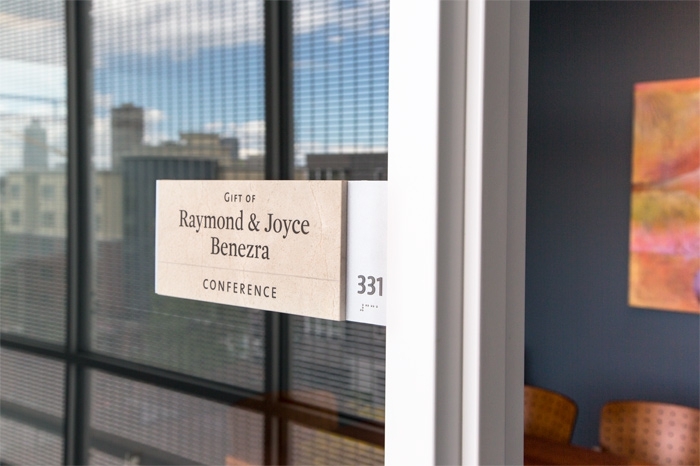 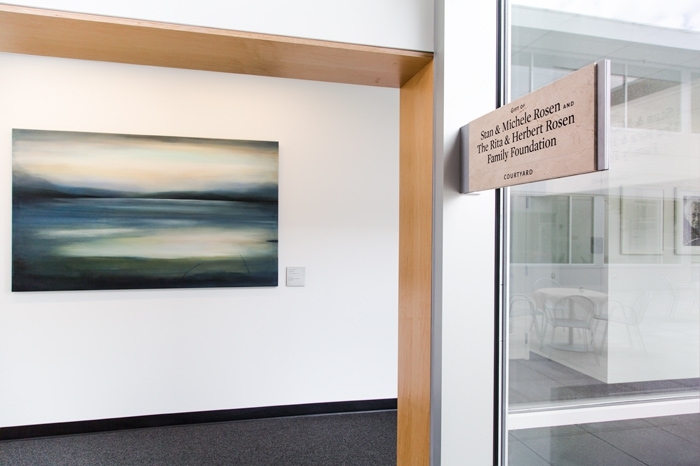 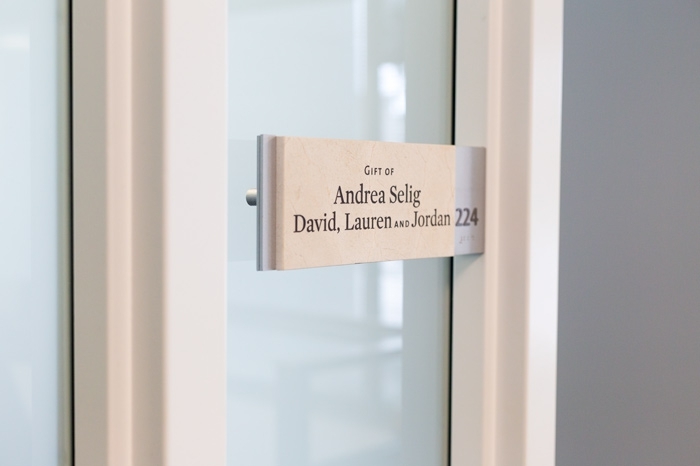 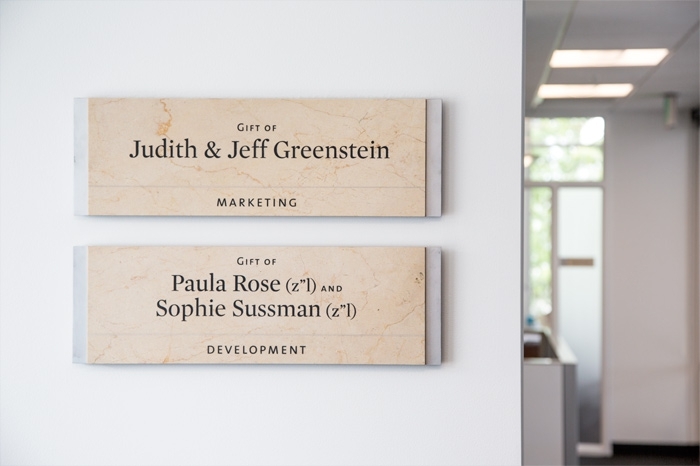 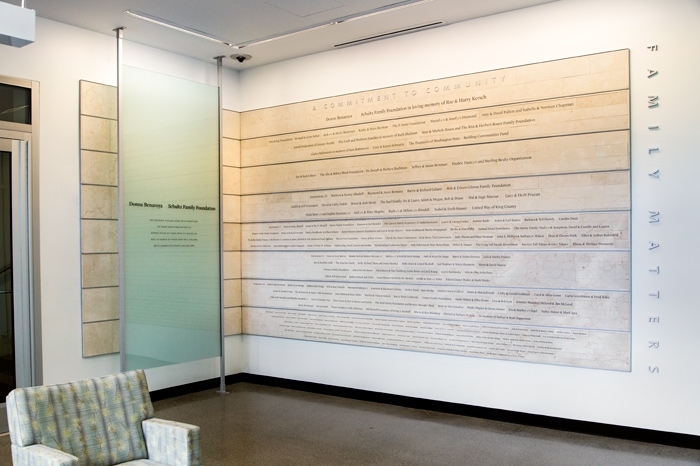 The names of these donors have been inscribed on a permanent donor wall and spaces throughout the new building in heartfelt appreciation and recognition of their unique commitment to our local community. 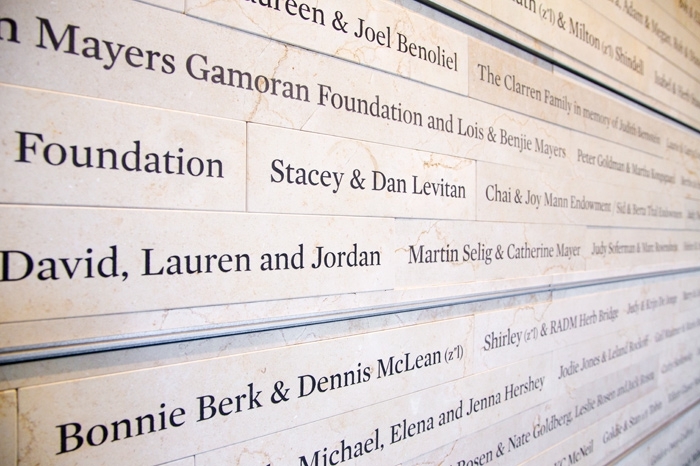 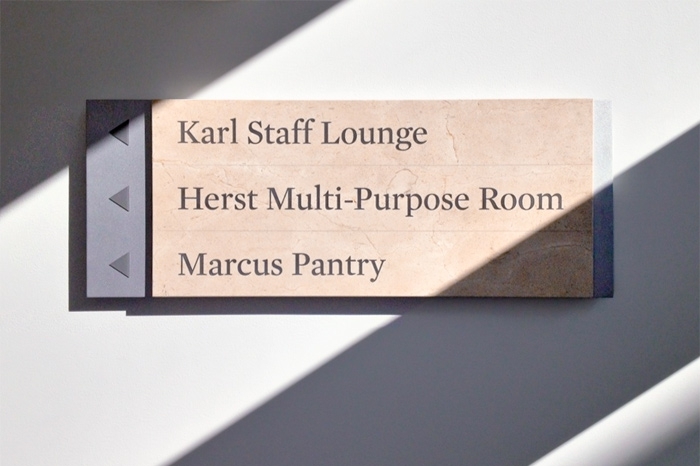 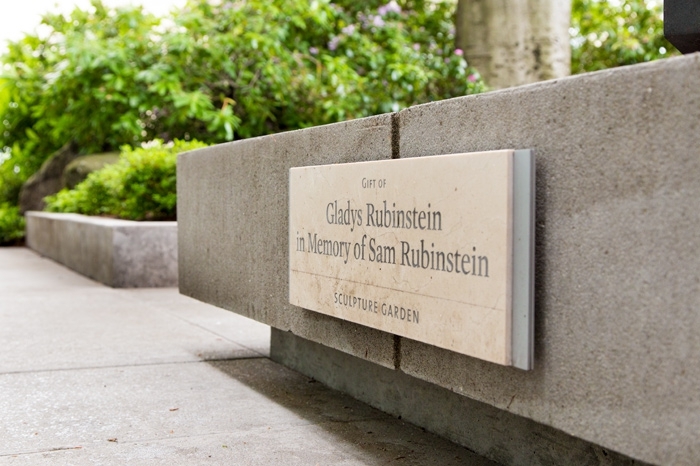 The donor names inscribed on Jerusalem limestone affirms a lasting commitment that “we are all in this together” and is consistent with the Jewish Family Service mandate to treat people with dignity and respect in times of need by providing strong responsive programs and services in a welcoming and accessible new facility. 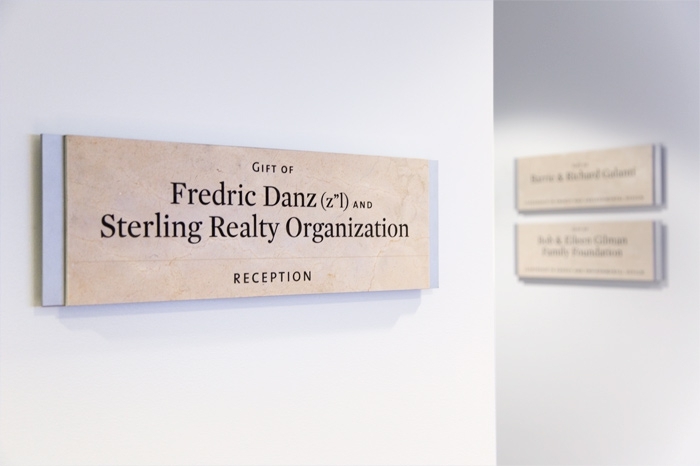 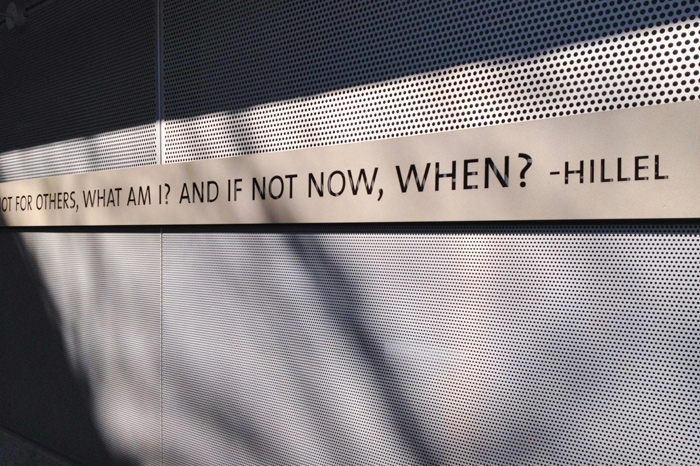 The design concept draws inspiration from these words by creating an entry passage of inviting design forms leading into and through the lobby. 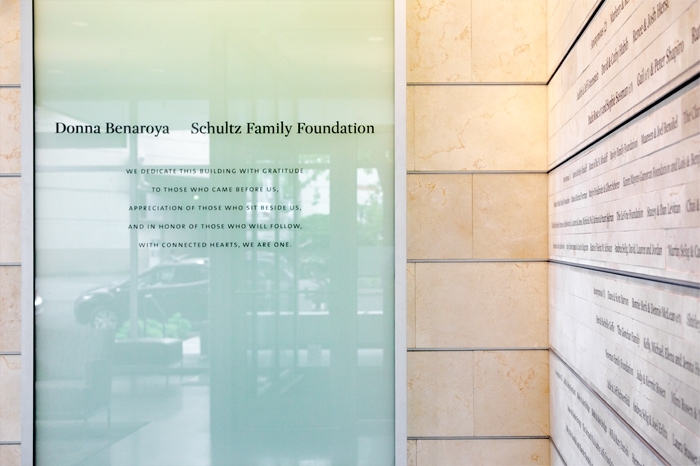 Timeless and respectful materials complement both the architectural character and traditions of a modern Jewish agency.